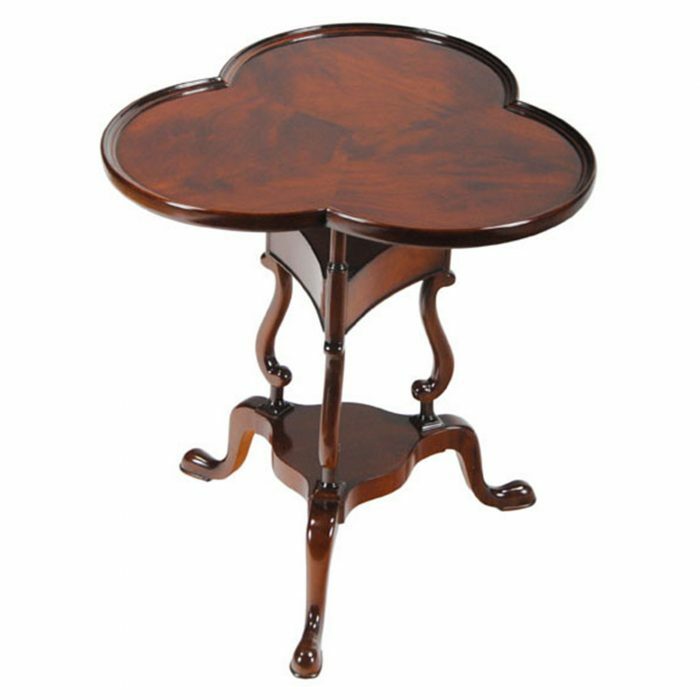 The Niagara furniture version of a French Gallery Table. 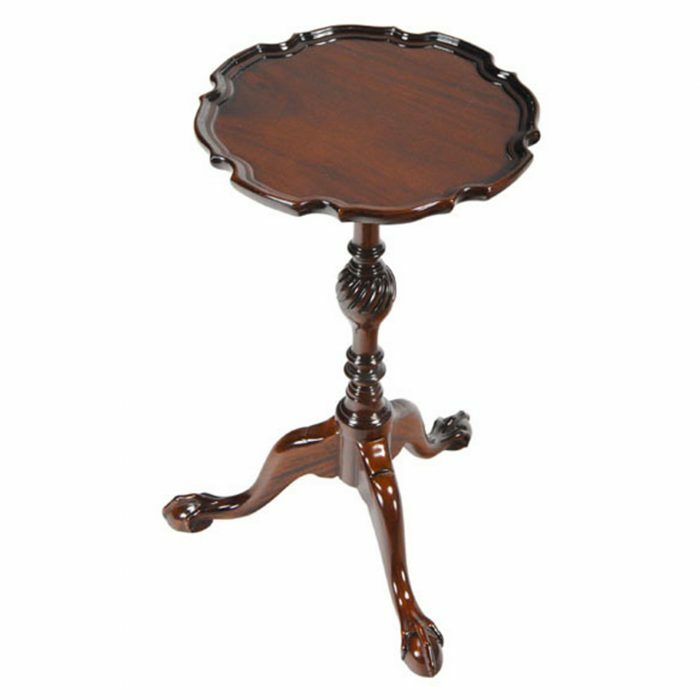 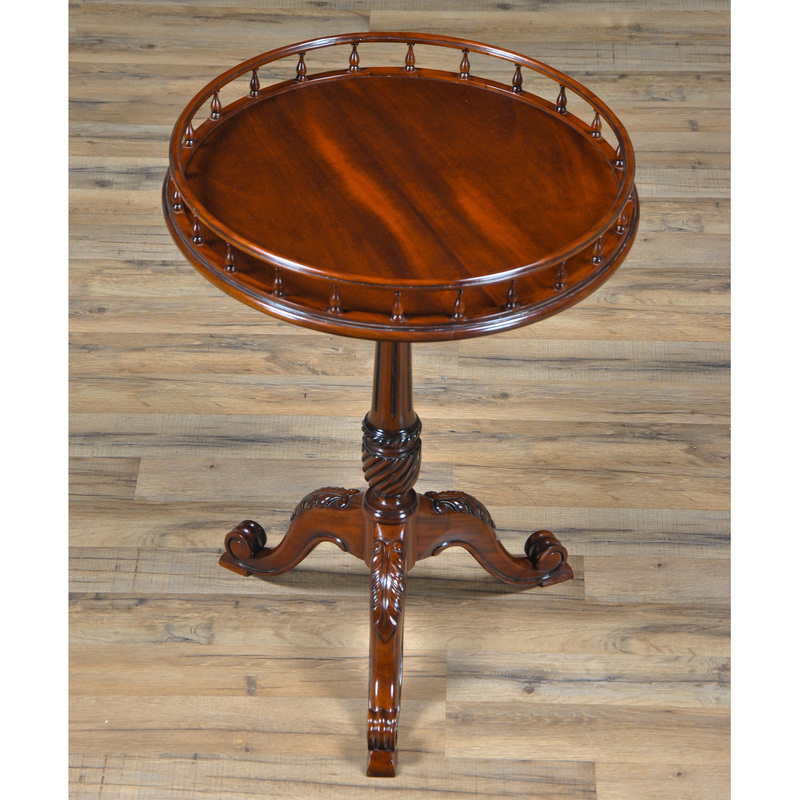 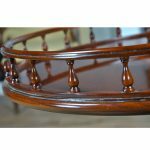 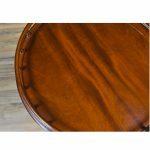 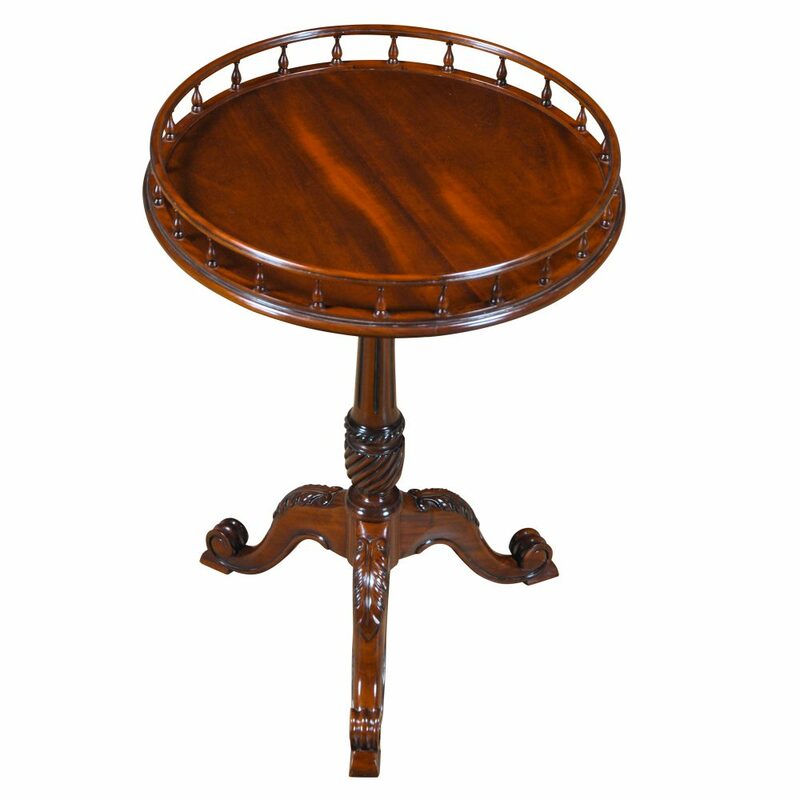 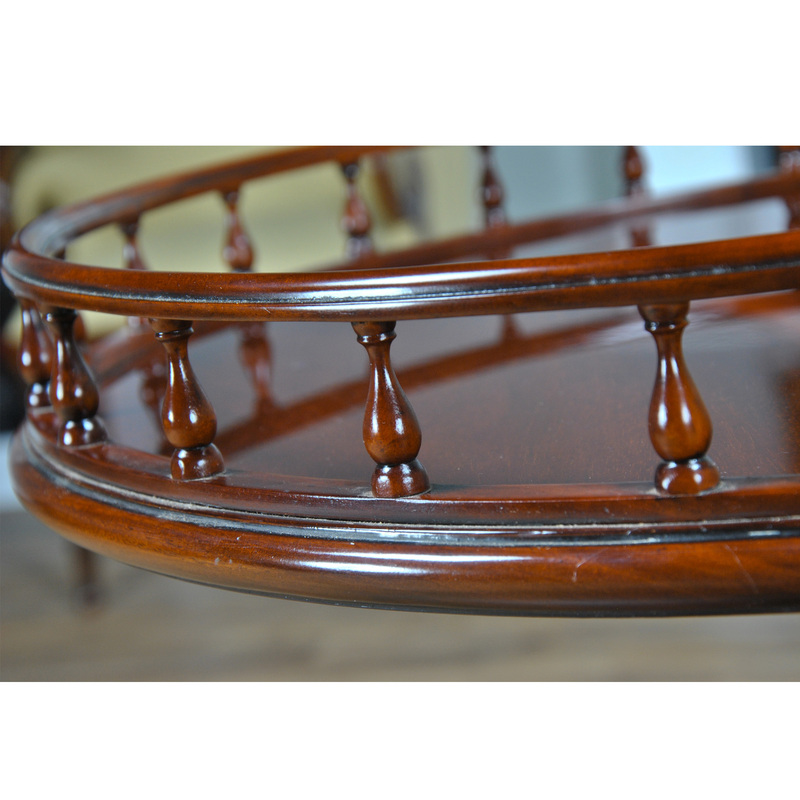 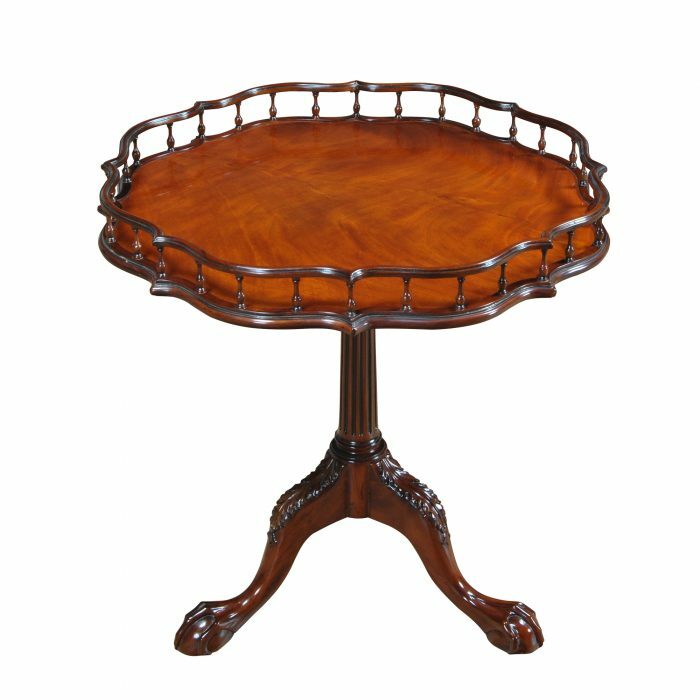 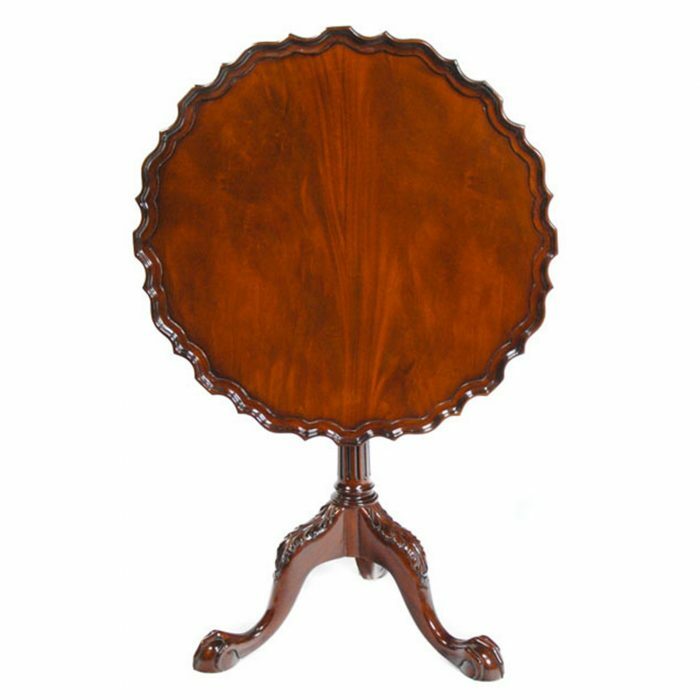 A handsome and decorative round table in the French Chippendale manner. 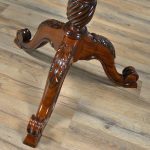 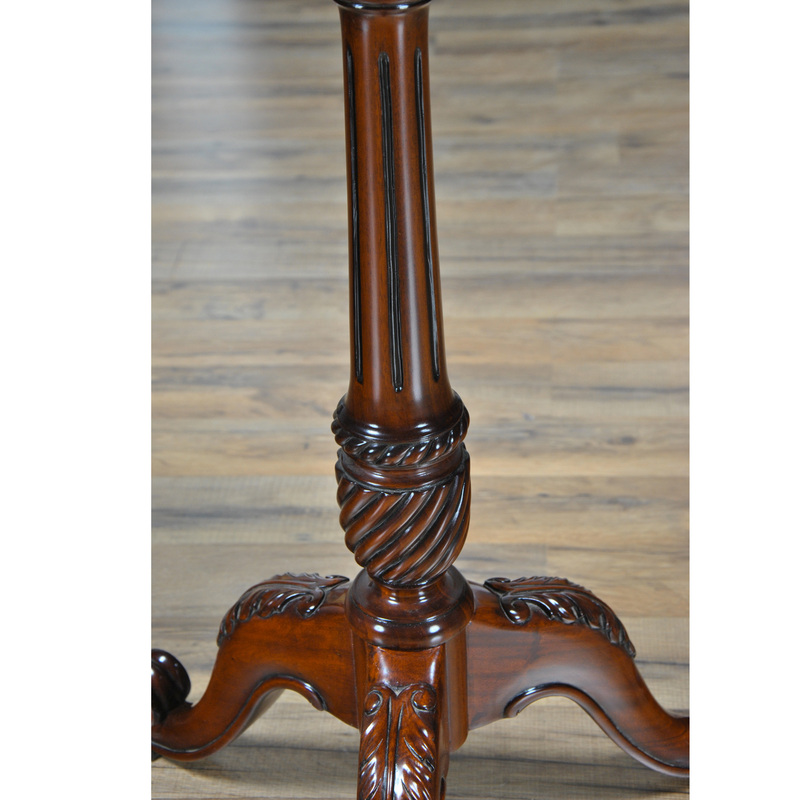 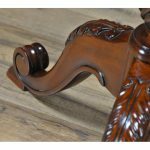 Hand turned, solid mahogany pillars support the gallery around the top of the French Gallery Table while a solid mahogany, hand carved column supports the top. 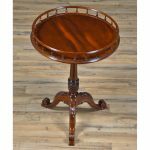 All of which is supported by three lovely, curved and hand carved legs produced from solid mahogany.